Hey ladies! When I like something I tend to buy it in a few different colours! I'm sure some of you who follow my blog for a while might have noticed I have this coatigan in grey! 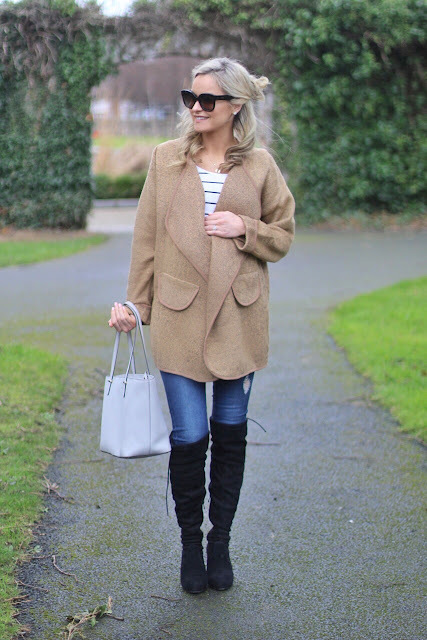 As we're coming into the spring the thoughts of dumping our winter coats might be in sight! Coatigans match my maternity style perfectly. They are just so easy and can be warn at any maternity stage! I can't believe I'm in my third trimester already.. Time is sailing by!